The next date for this workshop at The School of Life Berlin is Saturday July 22nd, 2017. Buy tickets here! We live busy, distracted and highly connected lives. For many of us, it’s difficult to find time for pausing and reflection outside of work, let alone during the working day. How do we stay productive, creative, focused and calm in the face of never-ending ‘to do’ lists, flooding inboxes, the increasing demands of others and ‘knock off’ hours that run long into the night? While there are great advantages to being connected 24/7, endless busyness can cause stress and exhaustion to the detriment of our health and wellbeing. This workshop is designed for people who are curious about mindfulness, meditation, and the benefits of bringing both into everyday working life. You will be introduced to meditation and mindfulness as ‘formal’ and ‘informal’ practices, and the ideas that underpin them. This class explores how pausing to connect with our present moment can cultivate the equanimity needed to get the best from a hectic working life. Megan Spencer is a professional broadcaster, film critic, journalist and media-maker. Her interest in meditation came about after a work-related health issue caused by sustained stress. 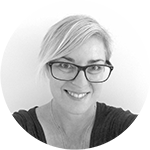 She has practiced Mindfulness Based Stillness Meditation since 2009, first learning at The Gawler Foundation Australia, then MBSM Teacher Training. Relocating to Berlin from Australia in 2015, here she’s taught and co-presented courses and workshops such as ‘Deep Storytelling’ (teaching empathy in storytelling); 8-week guided mediation program ‘Open Your Heart’; mindfulness and movement workshop ‘Express Yourself’; 7-week course ‘Meditation For Creativity’, with special workshops at Paypal Berlin and TSOL Australia. Attending retreats and study-courses is part of her ongoing professional development, with Mindful Self-Compassion of particular interest. In April 2016 she will undertake MSC Teacher Training in Sydney, Australia. This workshop was also presented at The School of Life Sydney on April 12, 2017 & Melbourne on April 19, 2017.